Ármin Vámbéry first entered the land of the Ottoman Empire in 1857, almost as a beggar. The young man encountering the colorful bustle of Istanbul was immediately charmed by the atmosphere of the Eastern capital, so it is no wonder that he devoted a large part of his life to the research of the Turks. Vámbéry, who first earned his living from reciting Muslim holy texts, in a few years became the home tutor and beloved guest of the families of the Ottoman elite, so his name became known both to the European ambassadors accredited to Istanbul, and to the bureaucrats governing the domestic and international politics of the Ottoman Empire. 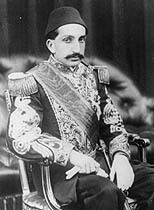 Moreover, the young man teaching foreign languages had the occasion to personally meet Sultan Abdulaziz, and make acquaintance with the young successor to the throne, Adulhamid II as well. The sympathy of the Turks, usually suspicious of Western people, was won by Vámbéry through his excellent gift of languages, and through the knowledge of Eastern habits (among others, by always bringing gifts with himself to his visits), so he enjoyed a great esteem before the important officers of the Porta. His fame was further increased by his Central Asian journey, started in 1861, after which half of Europe got to know him, and in Britain he was received with honors due to a hero. The Hungarian explorer, who made a worldwide fame by describing lands which were previously considered white spots, soon became a popular guest of several members of the British royal family, and of a number of influential aristocrats. 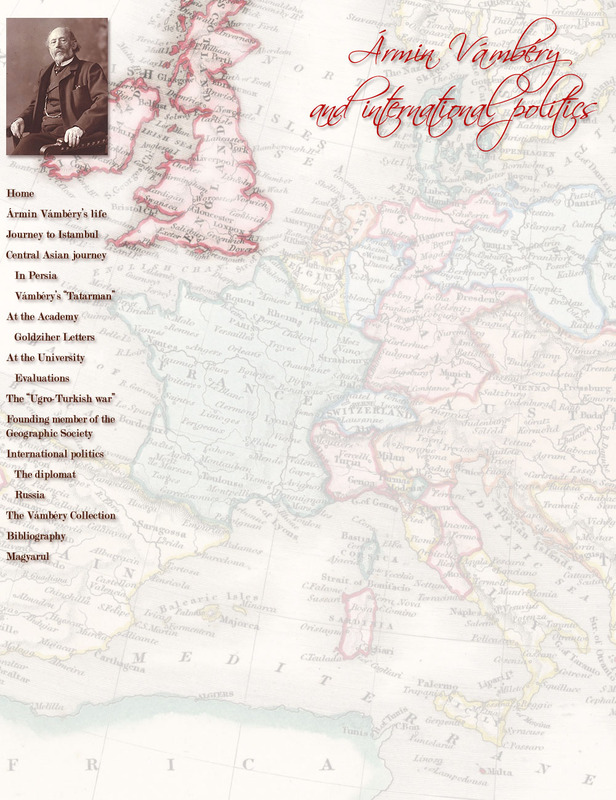 Appointed a teacher at the University of Pest, Vámbéry played an increasingly important role in the development of the Anglo-Turkish and Hapbsburg-Turkish relations, thus he was also received in the Ottoman court as a guest of honor. 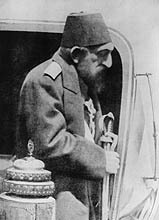 This was especially so after the ascension to the throne of Sultan Abdulhamid II (1876) and the Egyptian conflict (1882), as the new Ottoman ruler expected Vámbéry, publishing worldwide and familiar with the Eastern mentality, to be the messenger of the position of the Porta as well as its European contact. The name of Vámbéry was soon forgotten in Turkey, entangled in war for almost a decade after the outbreak of WWI. The Hungarian scholar, who first told to Sultan Abdulhamid II about the existence of the Eastern branch of the Turks – and who also had his share in the wake and development of the Turkish national identity – came again in the spotlight in the early 1980s, but this time as a British secret agent. Mim Kemal Öke’s Abdulhamid II and his age in the light of the reports of the British secret agent Professor Ármin Vámbéry 2 was based on the documents first published in the Vámbéry biography of the British authors Alder and Dalby. 3 On the basis of Vámbéry’s letters preserved in the archives of the British Foreign Office, the Turkish author tried to present the Hungarian Turcologist as a spy and a double agent, and in the enlarged second edition of the book even his Jewish origin and his relations with the Zionist movement were highlighted. 4 Nevertheless, one can state that the merits of the Hungarian scholar have not yet been forgotten in Turkey, and still many books and conferences commemorate the adventurous traveler, who entered his name into the history of the Turkish, British and Hungarian people.